Parking attendant Yan had recently come under fire after an investigation revealed that she was issuing out an excessive number of parking tickets to her ex economics tutors. She justified this using vague claims about the pursuit of self-interest and pointed out a correlation between her career prospects and the lack of chance she was given during her papers. Statistical analysis, outsourced to 1200 unsuspecting children, has revealed that there is a large, unaccounted for gap between the number of tickets Yan issued and those issued by other attendants. After further comparing the tickets handed out by this nefarious parking attendant, it was discovered that the p value was in fact 0, a figure never before seen in statistics. Yan’s economics tutor, Mr Smith, expressed complete shock at the sheer irrationality of Yan’s actions. He revealed that he began to question the very foundations of his teachings. 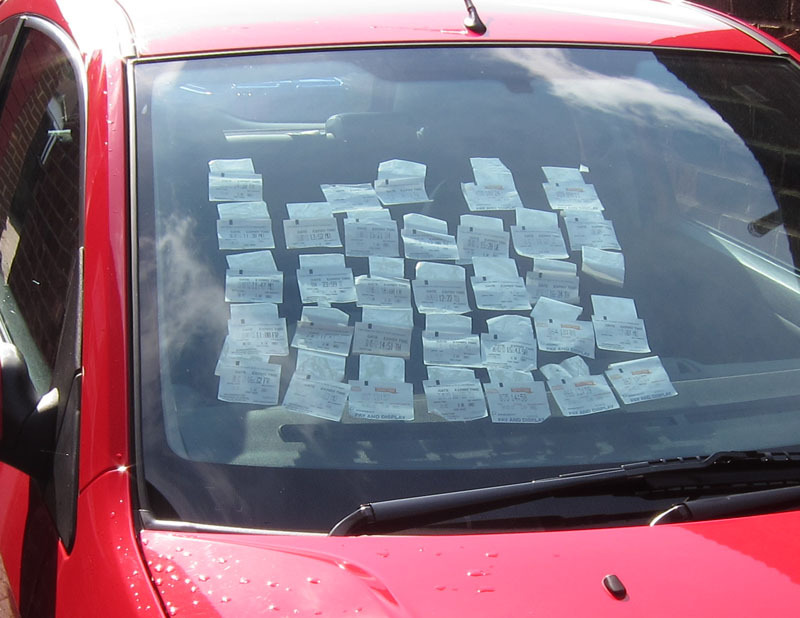 He did however, state that this level of parking ticket abuse may prove to be an invaluable tool in mitigating the negative externalities of car use and decrease congestion. He finds that combined with the rising airfares, it is likely to make more people opt for cleaner and more affordable transportation. Some examples include the SpaceX and Virgin Galactic rockets (presently capable of wiping out your future carbon footprint), unicycle and the eternally cool Heelys range of footwear. The superiority of these transportation methods is clear when considering the difficulty in trying to issue parking tickets to spacecraft or shoes. It was found that Yan hid in the trunk of Mr Smith’s car, emerging seconds after parking coupons expired to slap Mr Smith with a fine. This astounded Mr Smith, who had long believed that one of the greatest limitations of fines was the difficulty in policing them, a belief he acquired during his tenure as a leading armchair economist. Another frequent modus operandi she described involved the use of timing the lowering of barriers to entry to the carpark to quantum tunnel across great distances in pursuit of unlawful car owners. She employed this successfully on occasion much to the disbelief of physicists, economists and anyone with a passing familiarity with rationality. Some have hailed her as a legendary vigilante defending the sanctity of parking across the city and have suggested a new comic book series and Marvel movie featuring her. In light of Mr Smith’s arguments and to uphold Singapore’s long tradition of being a fine city, the traffic police has made Yan’s behavior the new norm, under the “Every parking attendant a good parking attendant” policy. They are also considering issuing a gag order to prevent statistics about high scoring parking attendants from being revealed, “much like what everyone else does”. How To Ace Your MCQs!